I love candy, and I’m a big fan of all things Tolkien, so this project made me giddy with delight. It’s the climactic scene of The Two Towers, where Men defend the bastion of Helm’s Deep from horde after horde of invading Orcs. Missed Manners (with the help of a bunch of family and friends) recreated the whole battle in candy. I don’t quite know why, but do awesome ideas like this ever need a reason? It’s Tolkien! And candy! It’s both! 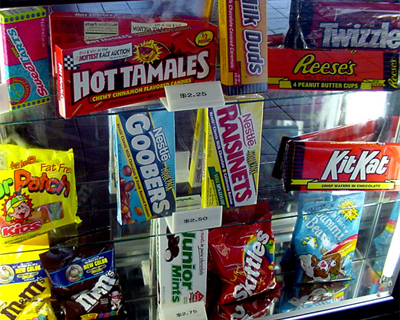 Gummi bears and Sour Patch Kids represent the bodies, Tootsie Pops represent the siege equipment, and Jolly Ranchers were stacked up to portray the walls. 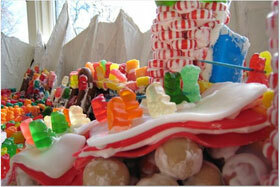 That one representative picture above doesn’t do justice to the entire sugary diorama. You’ve got to check out all the photos for yourself. The Battle of Minas Tirith is on tap next. I cannot wait. Now I feel completely inadequate as a Lord of the Rings geek. What can one recreate with half a bag of Starbursts?